Hi Friends, Hope you have enjoyed your child’s June school vacations. We have interesting news for you and your child. The Kidz Academy Singapore is back and here are the details about the fun-filled event. Fill your June holidays with activities such as a free-to-play inflatable play zone, Storyland, the learning pavilion, free trial classes, daily lucky draws and more. With a strong focus on education, the three-day event also offers a wide range of educational activities from esteemed partners and exhibitors. Come learn, play and discover! Here are the exciting and educational highlights to anticipate. 1. Talent time: a platform for children and parents to watch special performances The top three participants will walk away with attractive prizes! The deadline submission for its online audition is 13 June. Catch the Finals LIVE on 1st July. 2. Asia Pacific Youth Robotics Competition (APYRC) : a robotics competition for Science, Technology, Engineering, Arts and Mathematics (STEAM) that brings young people together to develop problem-solving skills and creativity. 3. Speak Up! Kids: This competition is Singapore’s first national public speaking competition for primary level students. 7. Storyland is a segment featuring live theatrical acts, it’ll showcase performances based on Singapore’s urban legends – The Brave Princess, The Heroic Tortoise, and The Loving Sisters. Mark your calendars for three fun days of fun and learning. Hurray !! Admission is free. What are you waiting for? 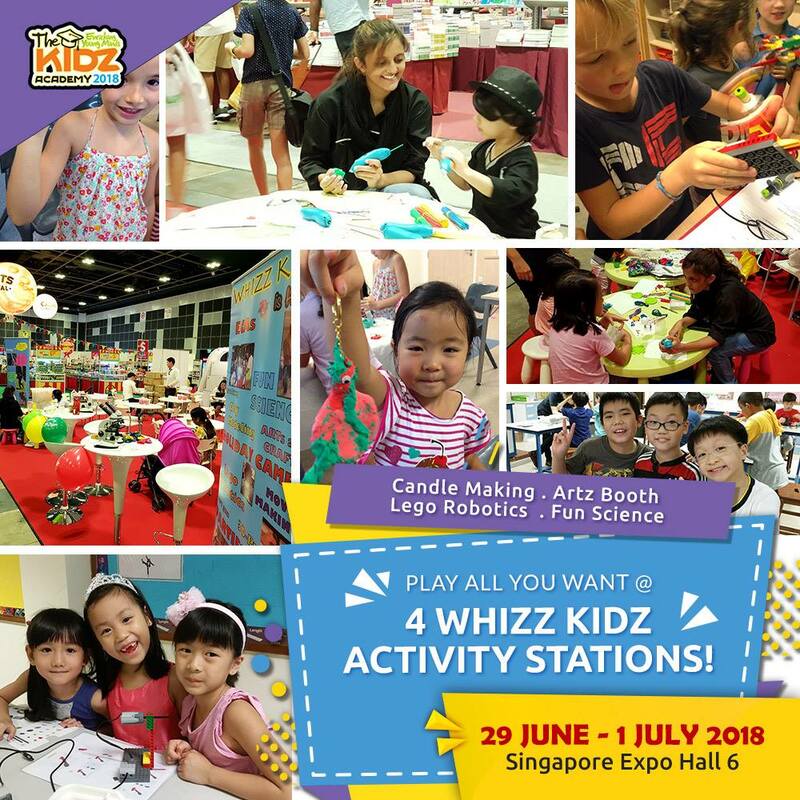 Come and visit the Kids academy on 29 th june 2018.‍‍‍‍‍‍ ‍Visit www.thekidzacademy.com.sg for more details.‍‍ ‍‍See you there at the event.